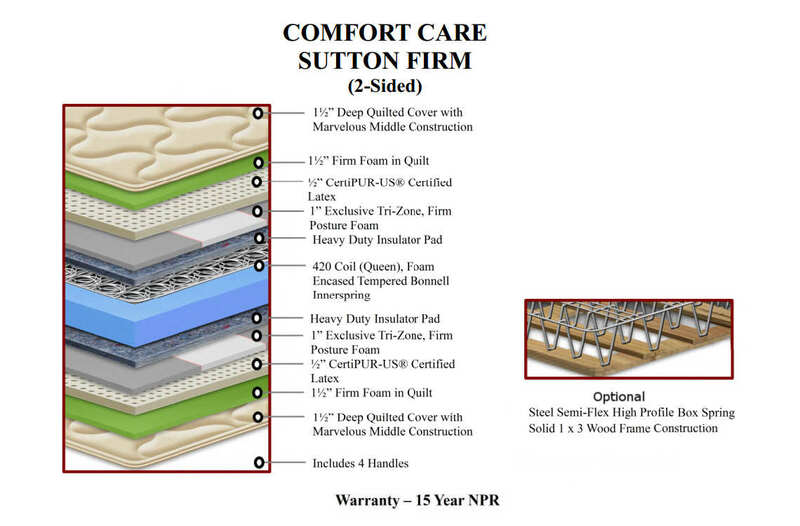 The Sutton Firm is a double-sided (flippable) "Comfort Care" mattress by Restonic. It features a tempered coil unit (foam encased), latex foam and Tri-Zone firm posture foam. 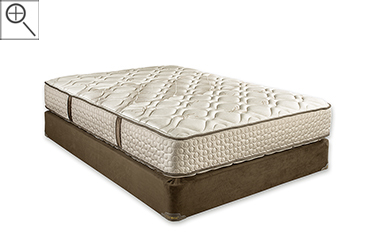 This is a great option with a proven track record, for anyone seeking something that offers optimal support and comfort.